As you might imagine, there are a number of standard questions we get about our services, and the products we work with. This FAQ is designed to give you answers to the most frequent of these questions. 1) Use our chat system, located on the lower right of the screen. 2) Email us the question at info@fhblackinc.com. 3) Call us toll free at (844)852-5225. 4) If you are a client and are looking for technical support, please send an email to support@fhblackinc.com. DO I NEED SOFTWARE INSTALLED BEFORE I ATTEND TRAINING? Yes. Each course has specific software required. Please see the registration page for details about exactly what software is required for each course. Also note, that if you do not have the software prior to training, we can usually provide Demo versions to be used during training. WILL WORKING PAPERS WORK WITH MY ACCOUNTING SOFTWARE? Almost certainly. Working Papers imports data from Excel & ASCII text files. All you need to do is save a report with the right data to Excel and we can do the rest! The right data is most likely account number, account description, balances (current / prior / budget). If you have large volumes of imports or very complicated cleanup is required, we have developed an add-on tool that will fully automate your imports. If this is of interest, please look at our File Manager tool. IF I CALL IN TO TRAINING USING THE TELEPHONE, ARE THERE LONG DISTANCE CHARGES? Yes. If you wish to avoid these charges, please use speakers and a microphone to participate. WHAT WILL IMPLEMENTATION OF WORKING PAPERS COST? The price in each category depends on how many users you have, your prior experience with CaseWare Working Papers (if any), how much of the implementation work you want to do yourself, and if you would like unlimited support. For more information we have a more detailed discussion of the variables that impact the fees. I HAVE BEEN USING CASEWARE FOR YEARS BUT I DON'T THE MEET PREREQUISITE REQUIREMENT. DO I HAVE TO TAKE THE OTHER COURSES? No, but our advanced courses build upon this fundamental knowledge. Due to time constraints, we will not be able to review fundamental topics during more advanced sessions. HOW LONG WILL IT TAKE TO IMPLEMENT CASEWARE WORKING PAPERS? This is primarily contingent on your availability, the scope of the project and the model of implementation you select (guided self-implementation or delegated-implementation). For a small set of financial statements (20 - 40 pages), once you are able to spend time working on the project, you can expect it to take 4 - 8 weeks* from start to finish. This is not 8 weeks of continuous work mind you, this is the duration of the implementation project. For a larger project (CAFR or budget book), once you are able to spend time working on the project, you can expect it to take 10 - 16 weeks* from start to finish. This 16 weeks is the duration (not effort) of the implementation project. * If you elect a guided self-implementation of the system, you can typically expect it to take longer than this. DO YOU OFFER CUSTOM TRAINING THAT COULD BE DELIVERED IN OUR OFFICE? Yes. We regularly customize training to address the specific questions/concerns of one organization. You set the time, date, content and have as many of your team attend as you like. We can have one of our trainers in your office or we can deliver this training on-line. To begin a conversation about custom CaseWare training, please email us here. ARE THERE OTHER ORGANIZATIONS LIKE OURS USING CASEWARE? Yes almost certainly. With nearly 500,000 users governments, universities, colleges, corporations and public practice firms of all sizes in nearly every province, state and territory are using CaseWare Working Papers to automate annual, quarterly and monthly financial reporting. See the name, location and size of some CaseWare users we work with. IF ONE PERSON SIGNS UP FOR ONLINE TRAINING CAN WE HAVE MORE THAN ONE PERSON ATTEND / WATCH? No. Our fees are per person and each person must register separately. CAN WORKING PAPERS AUTOMATE QUARTERLY OR MONTHLY REPORTING TOO? Yes. Many of our clients tackle the annual statements first. Once that is done they are usually excited to automate many other aspects of their financial reporting. Working Papers' flexibility ensures you can tackle even the most cumbersome reporting project, so long as it is standardized (the report format does not change substantially every time you issue it). DOES CASEWARE TRAINING ONLY DEAL WITH PUBLIC PRACTITIONERS' ISSUES? No. Our training is customized to deal with the specific questions, concerns and use requirements of Government, higher education, corporate and public practice users. CAN I USE WORKING PAPERS TO GENERATE MY STATE/PROVINCIAL REPORTING? HOW DO I ACCESS RECORDINGS OF TRAINING THAT I ATTENDED? Approximately one day after the conclusion of training you will receive an email advising you the videos are available. Return to the course information page you used to access the course and the video(s) will now be displayed. You will have access to stream these recordings for 90 days from the date of the course. We offer this service as we typically cover a lot of material and many clients want to be able to review and clarify any questions that might occur to you after training once they start using the techniques and features we cover. Note - this access is for paide attendee use only. Sharing login information with others is strictly forbidden and are grounds for immediate termination of access. Does your training qualify for CPD/CPE? Yes. All of our training and webinars qualify as verifiable CPD/CPE as noted on the course registration page. After the course, you will be able to login to see all of the CPD/CPE hours that you have obtained with us and access a certificate that you can print out for your records. ARE YOUR ONLINE COURSES PRERECORDED? No, they are live training sessions, conducted by a certified trainer. I took training from another CaseWare trainer and they seemed very inexperienced. How experienced are you? We have been Certified CaseWare trainers for over 20 years. In that time we have provided hundreds of training sessions to thousands of attendees in nearly every imaginable industry. What technical requirements are there to attend an online session? In addition to having a computer with the specified software installed, you will need a reasonably fast Internet connection, and a telephone to call in on. If you wish to avoid long distance charges, you will want speakers and a microphone to allow you to interact with the instructor. Detailed requirements can be found here. Yes. Once you register and pay for the course you will receive an email with links to download all the materials required to participate in the training. We use vendor approved training materials (as applicable) for all of our courses. If it is longer than 4 hours and is being delivered online, we divide the training into 4-hour sessions to minimize fatigue, maximize retention and allow you to fit our courses into your busy work day. Thus, a 16-hour course will be divided into 4 4-hour sessions. Assuming that you have never used Working Papers before, we recommend four full days of training prior to commencing your implementation project. If you intend to use CaseWare's Financials template, we recommend another 16 hours of training on the template specifically. Finally, if you intend to build from scratch your own, heavily automated, custom documents we recommend 16 hours of CaseView specific training. MY OFFICE IS IN A REMOTE LOCATION. CAN YOU STILL HELP US IMPLEMENT? Yes. We have clients from Nunavut to the Southern USA and from the East to West coasts. As long as you have a good Internet connection we can provide a full-service implementation for you. From on-line training to remote support that puts us in control of your computer (if you want it), you will never notice that we are not in your community. WHAT BENEFITS DOES CASEWARE WORKING PAPERS PROVIDE? There are many benefits. Read our top reasons to implement CaseWare Working Papers. If you would like to hear what benefits our other clients have received, please read their success stories here or contact us to get our references. HOW MUCH OF OUR TIME IS REQUIRED TO IMPLEMENT CASEWARE WORKING PAPERS? There are numerous reasons to implement Working Papers. Some clients focus on automating simple year-end statements. Others need to automate their much larger CAFR (200+ pages). Some choose to automate the FIR or other provincial/state reports at the same time. 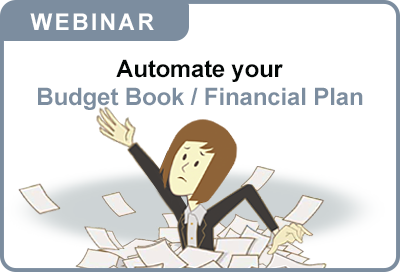 Others prioritize automating the budget book or quarterly / forecast reporting. Some of our clients opt to self-implement. In this model, they do nearly all the work and our team provides training, guidance, and direction only. With the above variables in mind, if you decide to implement CaseWare to automate a small set year-end financial statements (20 to 40 pages) and you have engaged our firm to guide you through the process and create your financial statements, the primary focus of your team will likely be grouping accounts and reconciling to previously published values. 20 - 40 hours to group accounts, provide this grouping legend to our team, create documents to support the values, book journal entries and reconcile to the previously published statements. 20 - 40 hours for your team to participate in project meetings, review the work we provide, discuss and resolve issues, roll the file forward etc. 32 hours of training for your team. If you plan to FULLY self-implement, you should increase your time investment estimate considerably. If you plan to increase the scope (tackle a CAFR, the FIR or quarterly reporting at the same time) you should increase your time investment estimate considerably. During the planning phase, please be sure to talk to our team about your specific scenario and we can work up more exact estimates for you. IF I ONLY NEED A LITTLE HELP, CAN I PAY YOU HOURLY? Yes. You can also pre-purchase blocks of time to reduce the hourly rate. For more information, request our Service Level Agreement. Can I duplicate my current presentation? Generally speaking, yes we will be able to precisely duplicate the presentation (font, format, spacing, text, & columns) of your current financial statements, CAFR, budget book etc. Often during implementation, we make suggestions to our clients regarding presentation where an alternate format may prove to be much easier to maintain, or easier for your audience to read/understand. These suggestions can be accepted or the current presentation retained. On rare occasions, we identify particular presentation aspects of the current report that are not possible with the tool we are implementing. When this occurs we present other approaches that can be deployed and work with our client to find the best alternate approach.